If you’re the type to slurp ramen on the off-season, take note: Ramen Setagaya on St. Marks is closed until July 26. 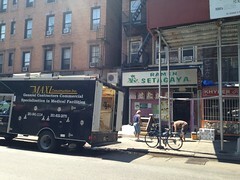 The Local spotted workers hauling bags of debris out of the restaurant this morning; head contractor Tom Kim said they were replacing the cracked wooden floor with new tile. So where can you get your ramen fix in the meantime? 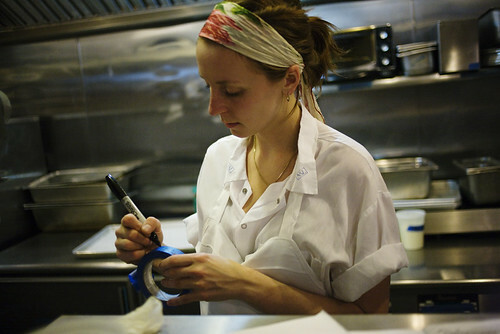 Tomorrow at Momofuku Noodle Bar, Ivan Orkin will take over for the night. Mr. Orkin, originally from Long Island, made his name at his own noodle shops in Japan. Noodle Bar will serve three of his creations – including one featuring pork neck, pork fat, chicken feet, and bacon – along with a smaller selection of their normal dinner food. The menu might be a sign of what’s to come at Mr. Orkin’s planned New York City restaurant; Grub Street reported last month that he’s looking to open a U.S. outpost by the end of the year. The “Invader from Planet Ramen” goes from 5:30 p.m. “till the ramen runs out” and is first come, first slurp (no reservations), so get there early. Pork Bun Blitz: Who’s Got the Neighborhood’s Best? After asking local food maven Kim Davis to suss out the neighborhood’s tastiest biscuits, porchetta, and smoked meat, we sent him to find out how a pork bun newbie stacks up against a couple of heavyweights. 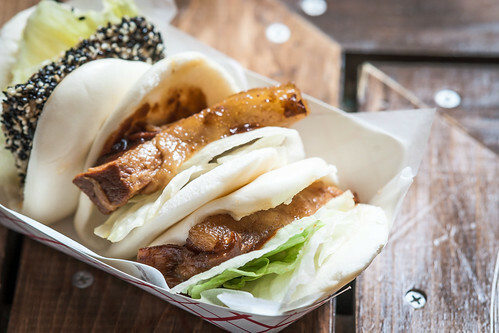 There’s a pork bun bonanza in the East Village this summer, with Baohaus now located on East 14th Street, and newcomer Jum Mum joining the gua bao stakes on St Marks Place. I set out to compare these aspirants with Momofuku’s gold standard product, and ended up satisfied, sticky-fingered, and not too much lighter in the wallet.